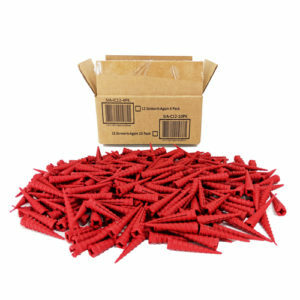 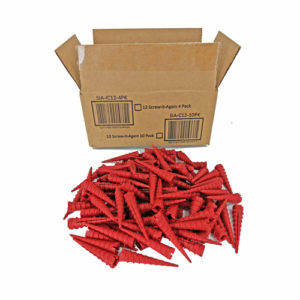 No more messy glue and sawdust or waiting for glue to dry! 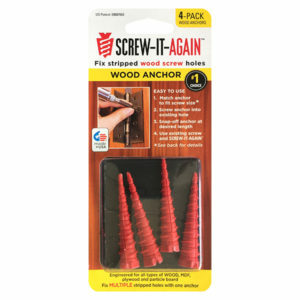 The Screw-It-Again wood anchor/fastener is an efficient and long-lasting solution to fixing stripped screw holes in all types of wood. The anchor features a notched head for simple screw-in, tapered body so one anchor fits multiple hole sizes, scored sections for easy snap and is threaded for a perfect grip. 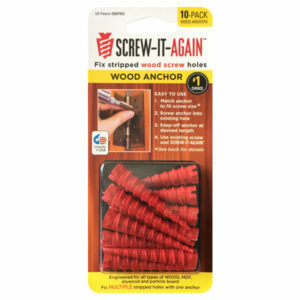 Screw-It-Again wood screw anchor/fastener is now available in many local hardware stores across the United States, including ACE Hardware, Orgill, True Value, DoItBest and Menard’s. 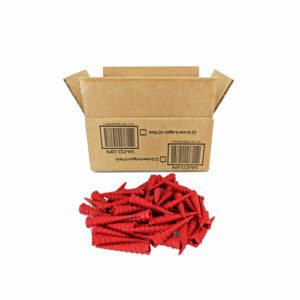 To locate a store with this product near you, please search via our store locator here.